This is a great price for a fantastic mechanical keyboard, as long as you don't mind Cherry MX Brown switches. 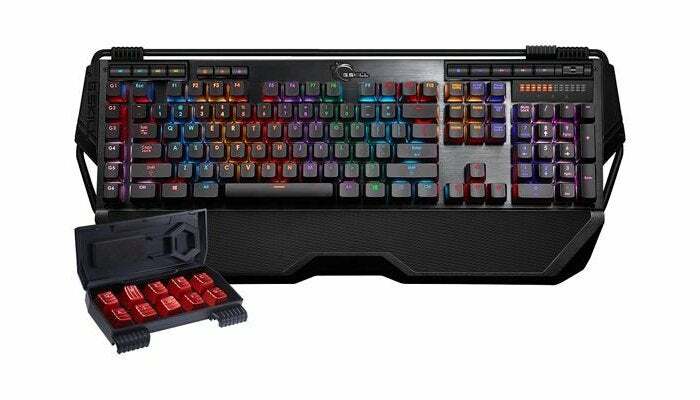 Every now and then, Newegg puts one of our favorite mechanical keyboards on sale--and today's deal is particularly nice. 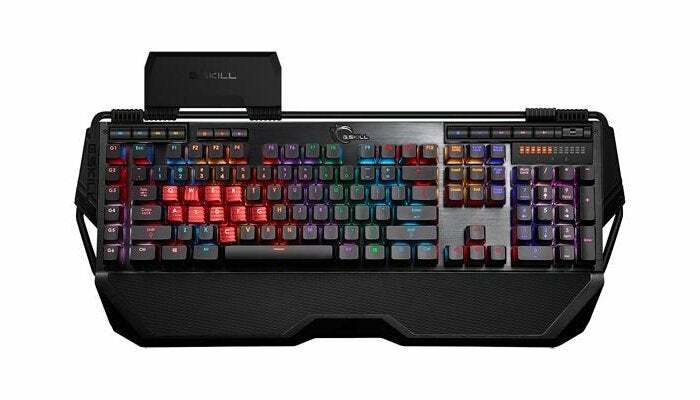 Currently, you can pick up the G.Skill KM780 with Cherry MX Brown switches for $70. That's much cheaper than the $105 sale price we saw on this same keyboard in April. This deal ends at 11:59PM Pacific on Tuesday, August 1. We currently consider the KM780 the best RGB-enabled keyboard. Our keyboard critic Hayden Dingman considers it a great keyboard because of design details like the detachable wrist rest, only-the-fly macro recording, six macro keys, "beautiful LED volume readout," and a mouse cable holder. It also has per-key backlighting and audio pass-through. This keyboard also includes some extra keycaps, a keycaptool, and a keycap case you can connect to the keyboard itself.